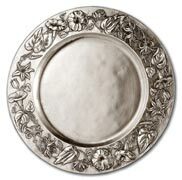 A well set table starts from the choice of the tablecloth: generally speaking, a white tablecloth with tone-in-tone embroidery is perfect for all dinnerware patterns. 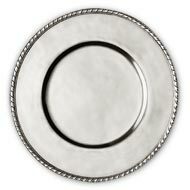 An alternative to this method, defined as "Latin", can be individual place mats which are more in line with "Anglo-Saxon" taste. 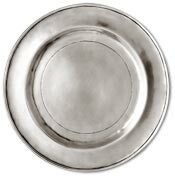 After spreading the tablecloth, the plates are put out, along with plate chargers if you like them and there is enough space. 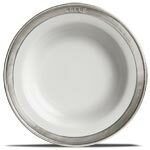 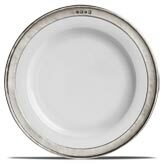 If the plates have patterns it is very important to turn them towards the diner: it may seem a marginal aspect, but it is one of the details that reveals the care and attention that has been taken over the table setting. 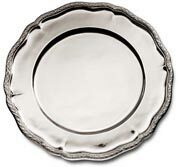 It is equally important to ensure the plates are symmetrically arranged on the table as they act as a reference point for the glasses, cutlery, serviettes and other accessories. 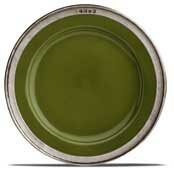 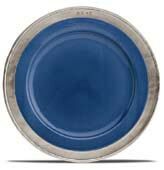 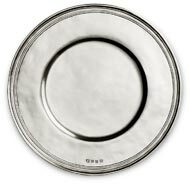 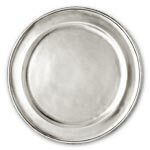 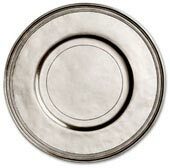 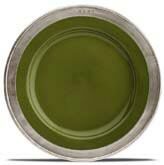 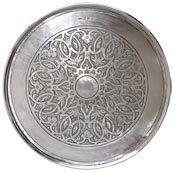 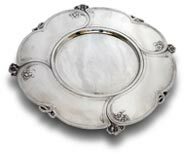 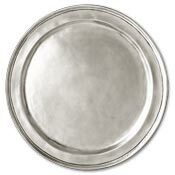 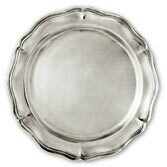 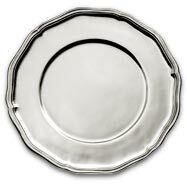 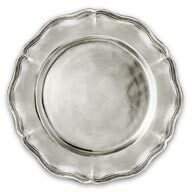 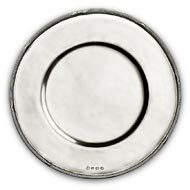 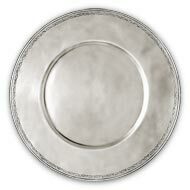 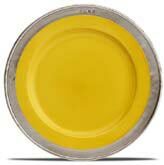 The bread plate, in pewter or the same material as the rest of the dinner set, is placed to the top left. Its position is dictated by logic and the rules of etiquette: bread, in fact, should be broken with the left hand only. 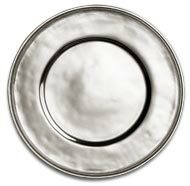 The same applies to breadsticks. 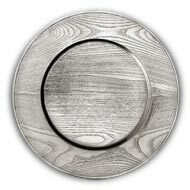 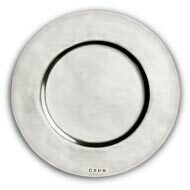 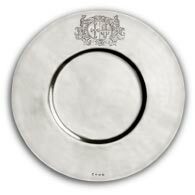 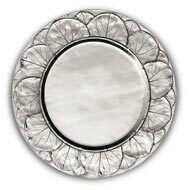 All our pewter battery plates are made from cast pewter. They are solid and have a special shine that never loses its intensity. 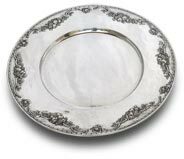 They look wonderful with ceramic bowls or porcelain plates and soap and water are all that's needed to get them looking like new again. 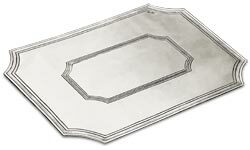 They are reminiscent of and inspired by the classical traditions that have decorated the tables of noble families throughout Europe over the centuries. The alloy used satisfies all EEC and USA regulations governing containers for alimentary use. They are also dishwasher proof.